The trees cry out in alarm. The wood elves must gather their greatest warriors. Evil lurks beyond our border, threatening all peace and prosperity. 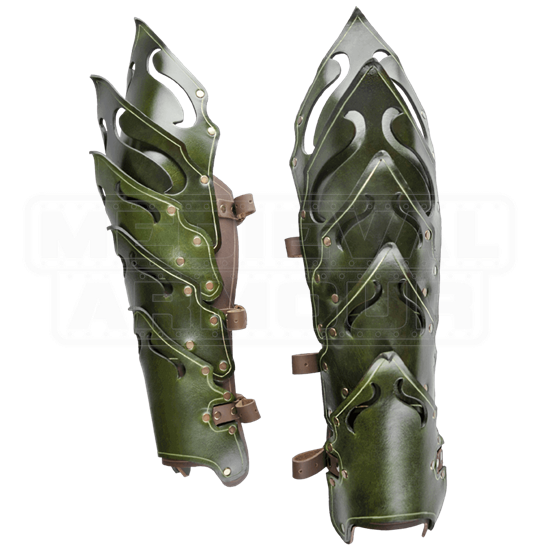 Let your path remain true with the Woodland Leather Greaves as a solid defense. The thick leather proves a shield to the lower limbs as the Elven guard confronts the dangers ahead. The masterfully crafted segments allow range of motion and increased comfort. The elegant leaf-like design bespeaks a warrior at one with nature. 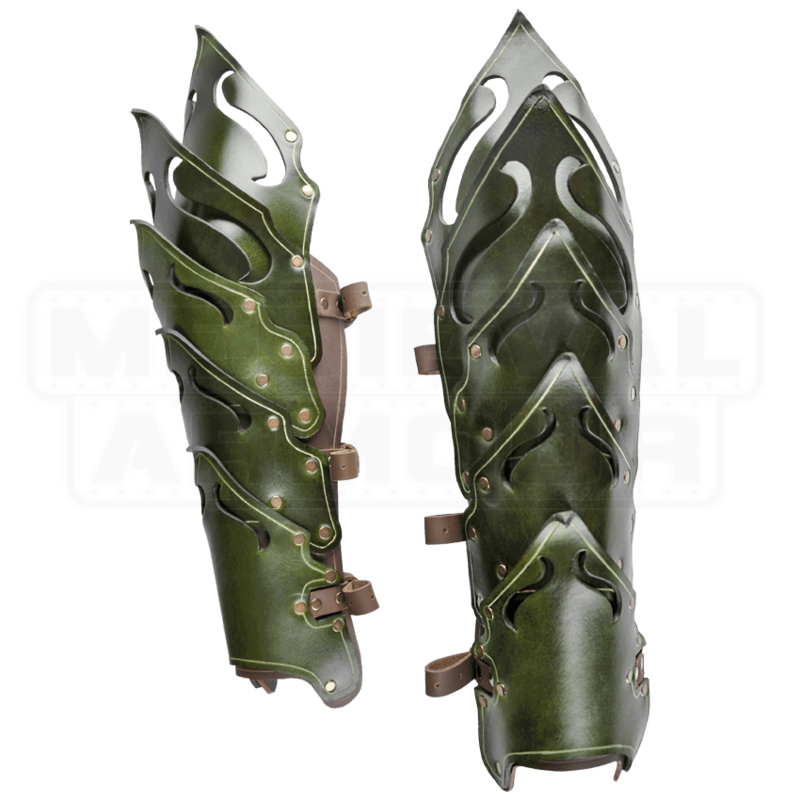 All will recognize the guardian of the forest, when entering the next LARP event with these greaves binding your shins.